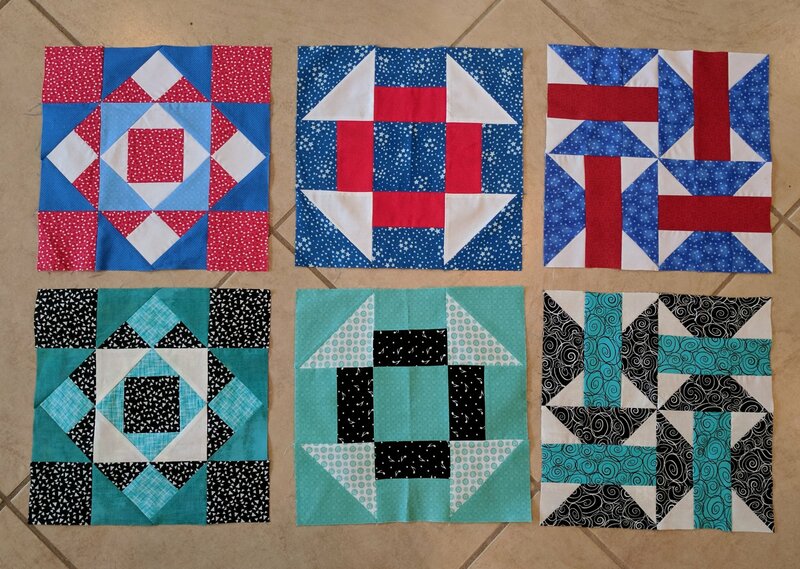 We are offering the blocks in either Red, White & Blue or Black, White & Teal fabrics. Please specify your choice when you register. This Block of the Month will run from January to December 2018.